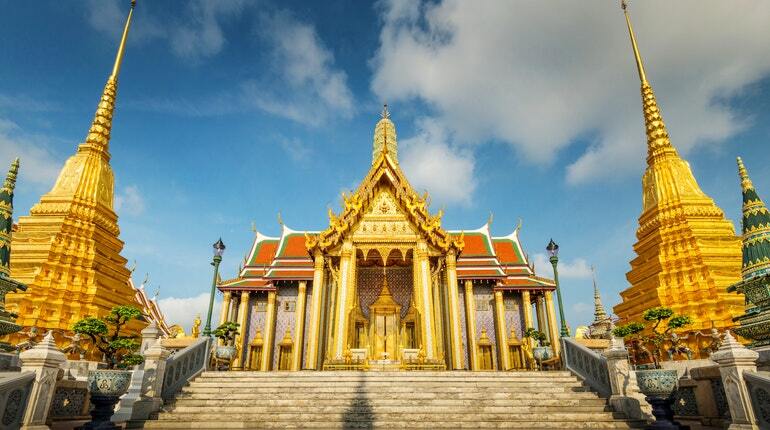 For travelers seeking extraordinary experiences, Thailand can be very rewarding, especially the north. Northern Thailand, formerly the Lanna Kingdom that once covered part of Yunnan, Laos, and what is now Myanmar, offers a great variety—religion, culture, arts, cuisines, flora and fauna. For example, very popular among devoted Buddhists as well as enthusiasts of glorious, historic, sacred architecture, is a spiritual journey throughout northern Thailand. The principle cities of Chiang Rai and Chiang Mai have many ancient, Lanna-style, Buddhist temples. The legacies of the former Lanna Kingdom founded more than 750 years ago, many are maintained by local Buddhist devotees and function as places of worship today. Visitors are free to pay their respects and worship in any of them. One of the most sacred temples is Wat Phra Kaew in Chiang Rai, the birthplace of the Lanna Kingdom.